Award-winning DVD/Blu-rays, books and film-related gifts. Every purchase supports the work of the BFI. BFI Members enjoy 15% discount. 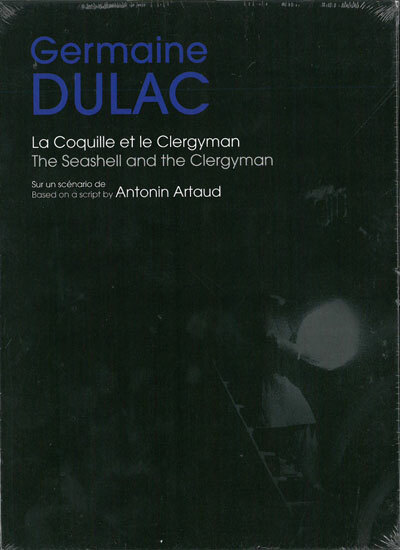 Directed in 1927 by Germaine Dulac and scripted by Antonin Artaud, The Seashell and the Clergyman is generally considered to be the first Surrealist film: a key element of French cultural heritage. This box set is all the more welcome for the fact that the film has been hitherto unavailable on DVD. A number of additional bonus tracks illuminate various different aspects of the film; aesthetic, technical and economic. The film in its original silent version, restored by the Nederlands Filmmuseum in collaboration with Light Cone. Three musical versions composed by Pascal Comelade, Thomas Koner and Iris ter Schiphorst. Two extras conceived by Nicolas Droin and Prosper Hillairet, with contributions from Artaud and Dulac experts. A new and revised edition of the 160 pages seminal book by Alain and Odette Virmaux The Seashell and the Clergyman: An attempt to shed light on a mythical incident. published by Paris Experimental (1999). Germaine Dulac's biography and filmography. An account of the restoration of the film: Catherine Cormon, director of restoration at the Nederlands Filmmuseum, retraces the history of the different versions of the film and of the restoration process. © 2014 British Film Institute. All rights reserved. Registered charity 287780 Cultural commerce by Talisman Innovations Ltd.